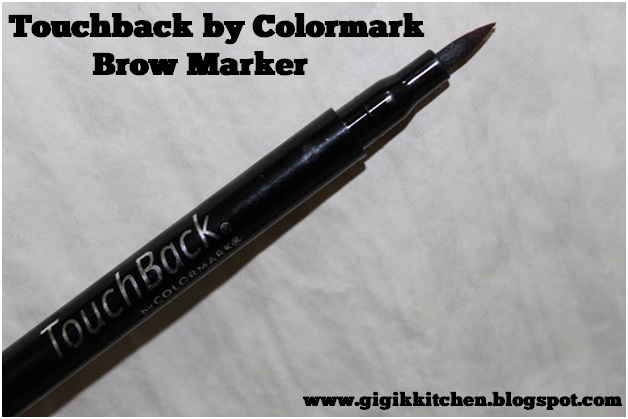 Here is what Touchback says about their brow marker: "TouchBack BrowMarker is a fine tip marker that enhances the shape, color and fullness of brows. The marker delivers the perfect amount of color for even, natural coverage." 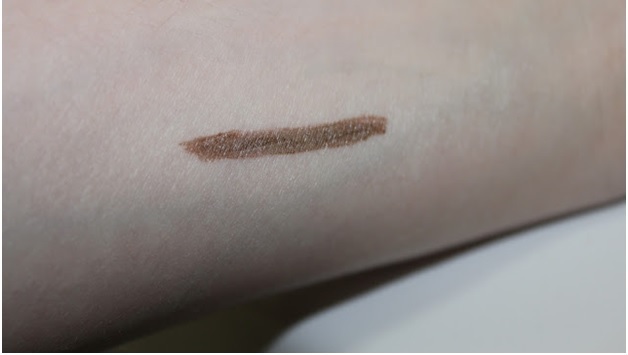 I have always used a brow pencil or angled brush with a brown powder to fill my brows in for a natural looking effect and had never actually heard of this unique idea of a brow marker so I was so intrigued when I discovered this product. I was also surprised to find that I really liked this one and I have been using it quite a bit for whenever I am looking to get a more defined brow look. This product can be purchased at the TouchBackBrow website or Ulta. Formulation: It's not an extremely liquidey product but it dispenses easily so no shaking to get it to the tip for application yet no overflow of product either. Performance: This brow marker gives a very precise application with it's large tapered brush tip which allows for filling the brows in really speedily. Also, it has a pretty pointed end that helps with drawing in any details that may be missing from the brows like a slight spot I have in my own brow from an old childhood scar. Lasting power- It lasts on my brows for about 12-14 hours without smudging or coming off at all but it isn't waterproof so with the slightest contact of water it washes right off which makes removing it at the end of the day quite simple. Pigmentation and Color payoff: The color isn't super pigmented but that works for me to avoid creating overly harsh looking brows. The actual color is actually a smidge too dark for my brows but with light strokes I make it work. I would love to see what the other shades are like though. Shade Selection- there are only 4 different colors to choose from which is not terrible for a brow product but it would be better if they had more to suit all sorts of hair colors. The shade choices available are dark brown, medium brown, blonde and auburn. The Packaging: I don't think the outer packaging on this is horrible but it isn't super impressive either. The lid does stay on pretty tight though and has kept the product from drying out so that's a plus. The Price: $19.95 is pretty decent for a product like this one. I have only had it for about a month though so we'll also have to see how long it lasts me. For the time being it hasn't dried out a bit. I really like this product alot. I do think the shade selection could be expanded on a bit though. I wish they had a lighter brown shade that would suit my brows quite a bit better but I can still make this product work. I was really happy with the fantastic lasting power and very decent price but I also usually go for waterproof products. I haven't decided if I will repurchase this one yet as I usually use a brow pencil or angled brush with powder to fill my brows in for a more natural effect but I am waiting to see how long the actual product will last without drying out and I will probably decide then. According to ColorMark the best way to apply this product is to clean unmoisturized brows using short upward strokes in the direction your hair grows. I have used it this way and it seems to work just fine. The swatch. It does seem a little light in the picture. I apologize but I think it got washed out from the flash so I will try to do a video or photo tutorial showing how I actually apply it to my brows so the actual color can be seen better. Have you recently tried a really fantastic brow product? Let me know what it is in the comments form below, I love to get your reccomendations! 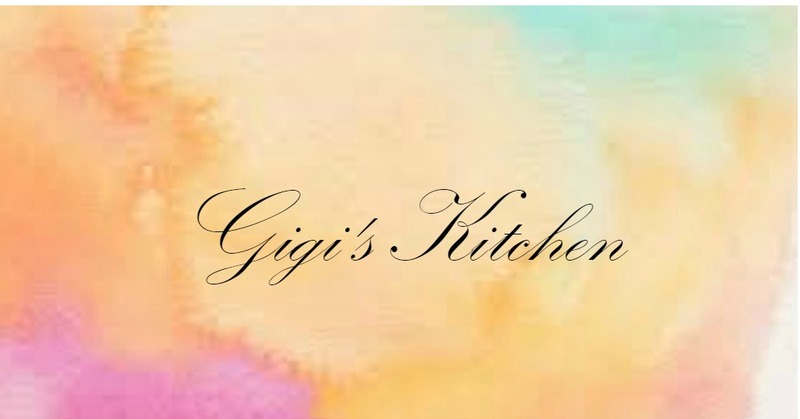 Feel free to leave me a comment of any sort, I love to hear from my readers! This product was sent to me as a pr sample, this in no way effects my opinion of it. I am not being paid for this product review. I like to share my honest opinions on makeup products to help others in their beauty shopping and I love to test new makeup products as well.